Nathan offers a FREE first / introductory lesson! Highly qualified and experienced drum tutor with Bmus Hons Music Degree! Private tuition is available for pupils of all ages and abilities! Able to teach a wide range of musical genres! Drum tuition for pupils of all ages and abilities. Based in Treharris, South Wales. Every pupil has a choice between a 30 minute or 60 minute lesson. A free trial lesson is also available! 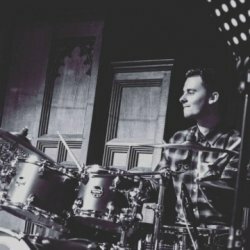 All pupils will be taught by Nathan who has over 10 years of drumming experience. Every pupil will have fun! Having fun and enjoying yourself is important! Every pupil will be taught professionally. Of course, you will be encouraged to practice. Practice makes perfect! Drum tuition is available for pupils who want lessons for fun and for pupils who want to complete grades. It's entirely up to you! Exams are usually with either Rockshool or Trinity. Tuition is at Nathans teaching space in Treharris where a full drum kit is provided. Just bring your sticks!